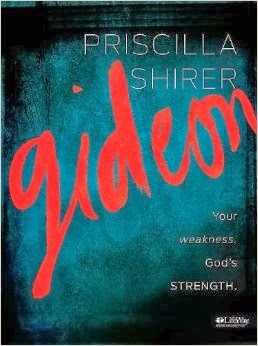 This morning, I was reading God's Word and working through a chapter from "Gideon" by Priscilla Shirer. This bible study covers the story of Gideon in Judges in great detail. 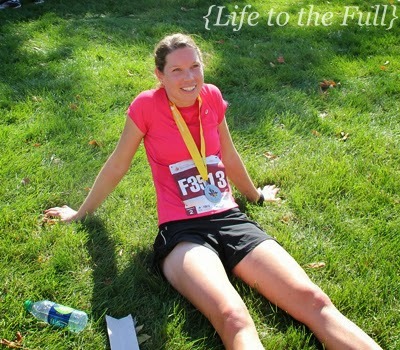 In this specific chapter, Priscilla combines two of my favorite topics: faith and running! I love the below quote she shared. Why do distance runners continue to run through pain and discomfort? What motivates them to press on? They press on because their passion and zeal for the goal supersedes the strain. With the recent marathon still in the back of my mind, I remember the strain of the last 6.2 miles and thought about why on earth I was pressing on. Passion and zeal, your "heart", for the goal really do help you to press on. In the case of a marathon, the goal is crossing the finish line, conquering 26.2 miles, reuniting and celebrating with family and friends, and wearing a shiny medal, I suppose. doesn't promise pretty post-race photos, either! Serving the Lord and fulfilling the call He has on my life is my passion and purpose. I want to live with passion and zeal for the Lord every day, straining towards the ultimate goal - an eternity with Him. Today I'm recommitting myself to continued dependence and fellowship with the Lord. I ask Him to give me a passion that ignites my heart for His purposes. It's challenging to feel super passionate about daily, monotonous tasks. Changing diapers, doing dishes, cleaning, and laundry don't exactly count as exhilarating activities and you don't receive applause every time a household task is completed (wouldn't that be awkward anyway?). But, even in the daily grind, God has a purpose for everything! Take joy in daily monotony because God is training you and shaping your character for things to come. Be faithful in the little things and the Lord will put you in charge of many things. According to Philippians 3:13-14, we are to 1.) Forget what is behind and 2.) Strain toward what is ahead. Press on toward the goal to win the prize for which God has called us heavenward in Christ Jesus! And per Leo's request, here's a little Relient K for you to enjoy :) (Relient K is his favorite band!) Listen to "Pressing On." What passion has God laid on your heart? How are you straining toward the goal every day? We live a very, very different life than most of the people we know. We live in a spot that is perfect for us, but so different (forgive my lack of better word choice) than most people that we know. Our lives are unique, but we know that it's best. It's in faith that we continue, that we do what we do. That we raise our daughter with both of her parents working from home. That my hub's writing is what it is. Yes, there are moments when we go, "what the huh are we doing?" but pause, we breathe, we sit in silence, and we pray. We listen and we move on. Stronger. More aware. More in awe. More grateful.